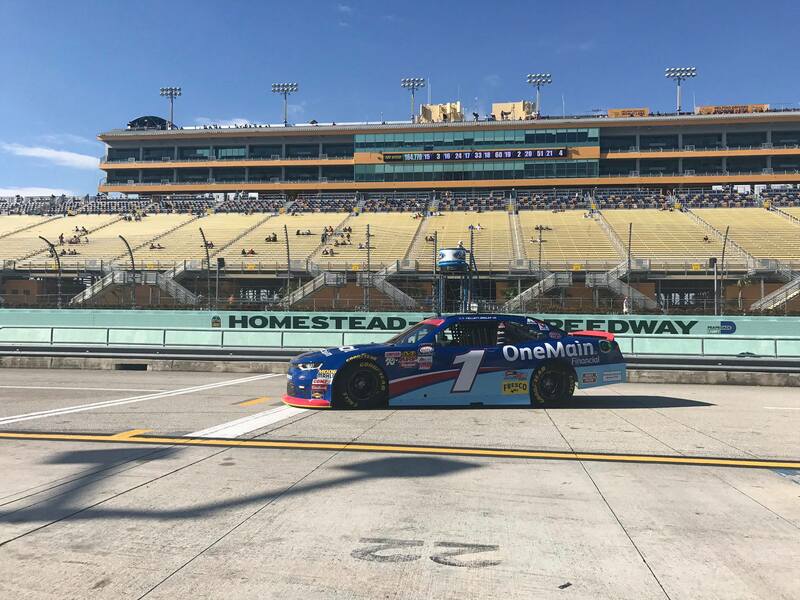 William Byron parked on the front straight away at Hometead-Miami Speedway. He just won the 2017 NASCAR Xfinity Series Championship. “He raced me clean,” Byron stats over the PA system. He was referring to an all-day battle with Elliott Sadler. Right on cue, Elliott Sadler was taking off his helmet and hans device, tossing it inside of his car. 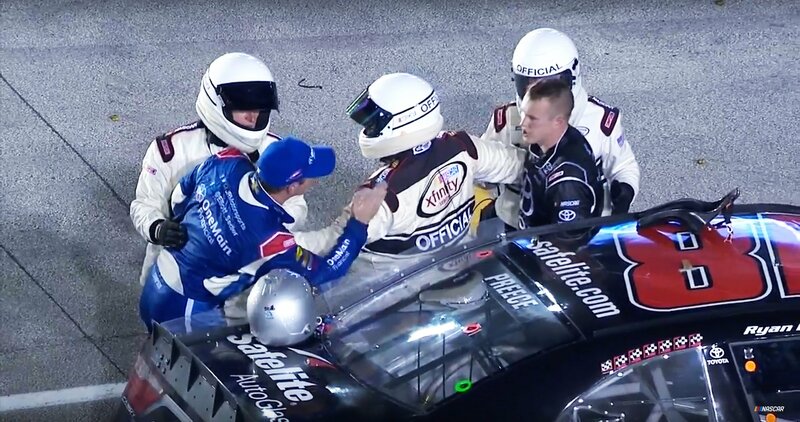 Sadler climbed from his race car on pit lane and went directly for Ryan Preece. No punches were thrown. Just a lot of finger pointing and yelling. Watch the video below. “Well, I mean he cost us a championship and he’s not even racing anybody,” Sadler told NBC Sports shortly after the pit lane altercation.